While the idea of dining at Michelin-starred restaurants might evoke visions of dollar signs in your head, there are some spots that won’t break the bank. If you’re looking to try the cheapest Michelin-starred restaurant in the world, you’ll need a plane ticket to Singapore and some comfortable shoes to stand in the lengthy queues. The original Liao Fan Hong Kong Soya Sauce Chicken Rice and Noodle is located in a Singapore hawker center, so you won’t be online or on the phone months in advance hoping for a reservation. The demand for chef Chan Hon Meng’s chicken rice dish exploded after its inclusion in Singapore’s inaugural 2016 Michelin Guide, prompting him to open a new location just meters away, and now he has his eye on global expansion. The original Liao Fan Hong Kong Soya Sauce Chicken Rice and Noodle is located in the Chinatown Food Centre, and you can expect queues to form long before its 10 a.m. opening time. 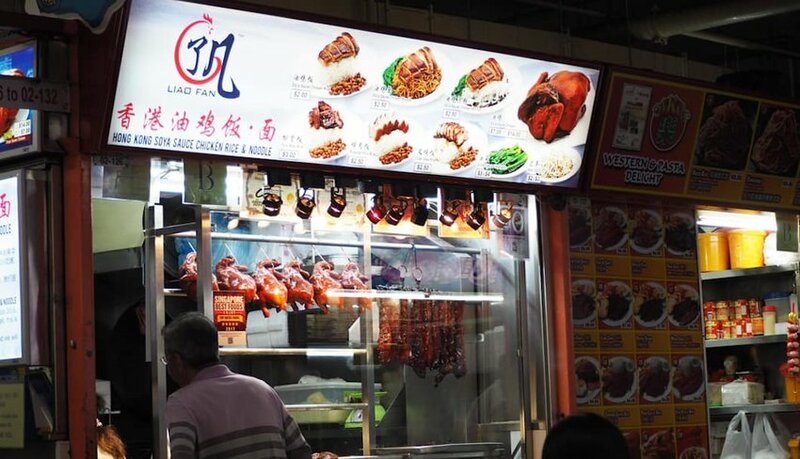 The humble food stall has kept its one Michelin star for three years straight and earned the title of world’s cheapest Michelin-starred restaurant as you could eat for S$2 (around $1.42 US). The new location in Singapore is called Liao Fan Hawker Chan and is part of chef Chan’s new partnership that is helping fund the global expansion. This location is more of a sit-down restaurant, and still sees significant queues, but it does stay open until 8 p.m. as opposed to the 3:30 p.m. closing time of the hawker center location. Both locations are closed on Wednesdays. 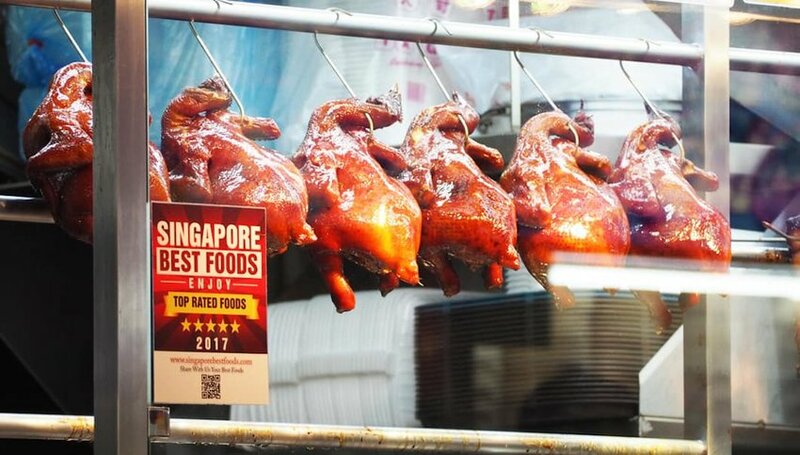 Liao Fan Hawker Chan earned a Bib Gourmand nod in the Michelin Guide, but it doesn’t have a Michelin star like the original location does. There are now two more locations in Singapore that stay open until 8 p.m. and 9 p.m. If you don’t have any plans to visit Singapore anytime soon, you can try Chef Chan’s famous Hong Kong soya sauce chicken and rice in Taiwan, Thailand, the Philippines, Australia and even Kazakhstan. Chef Chan Hong Meng grew up in Malaysia and is the son of two farmers. His parents grew produce and raised livestock. Chan developed a love of cooking through preparing the family’s meals. He developed the philosophy that food should be affordable and simple. When he was 15, Chan left home and headed to Singapore looking for work. He landed an apprenticeship with a chef from Hong Kong who helped him develop the soya sauce chicken recipe. Chef Chan opened his award-winning food stall in 2009. Chef Chan has since partnered with Hersing Culinary, the group that helped the former world’s cheapest Michelin-starred restaurant, Tim Ho Wan, go global. If you’re lucky enough to pick a day where Chef Chan is there, you’ll get to see him in action. Watch him chop different meats — chicken, roast pork, char siew or pork ribs — to include in your dish. Then choose your carb — rice, hor fun, or mee kia. The chicken and rice combo is obviously the star of the show here, with skin that crackles as you bite into the succulent and tender meat. It’s recommended to go early as there are only a limited number of chickens available each day, so once they sell out, you’ll be turned away. Other dishes and sides at the hawker center location include wonton soup, Thai-style tofu and oyster sauce vegetables. Are the Queues Worth the Hype? Chef Chan has landed in the Singapore Michelin Guide three years in a row, so the reviewers definitely agree the quality has not suffered since its initial inclusion. However, some food bloggers in Asia feel that, like other hawker center stalls that receive awards, quality can begin to suffer once the spotlight is on. HungryGoWhere Singapore’s critics recently revisited Chef Chan’s original location. According to their reviewer, Chef Chan is rarely present these days as his wife and two helpers primarily run the stall while he’s overseeing the restaurants. With all the growth, only the chickens are braised onsite now while all other meats are transported from their main roasting kitchen nearby. And, you aren’t likely to find mostly locals lined up like years past. It’s primarily tourists who are in town to try the world’s cheapest Michelin-starred restaurant. None of this means you should necessarily skip trying the famous chicken and rice if you’re in Singapore. If the queues aren’t overwhelmingly long, hop in line. You can see for yourself what makes Chef Chan’s food so special that Michelin reviewers continue to award his humble hawker center stall a Michelin star.